Home Bitcoin A 30% Drop in 5 days…Where Will Bitcoin Price Go from Here? A 30% Drop in 5 days…Where Will Bitcoin Price Go from Here? When financial markets are analyzed Bitcoin price is generally considered the newest and highest risk instrument in the space. BTC even has options and futures traders puzzled with its significant price fluctuations. This week BTC has fallen more than 30% since its high, but why? December saw Bitcoin approach $20,000. January saw a correction of epic proportions concluding in February when BTC dipped under $6,000. February through the beginning of March saw Bitcoin price climb and eventually trend north more heavily following the Chinese New Year. That was until this week where Bitcoin along with almost every altcoin has suffered a significant punishing. However, with FUD comes a major drop in prices providing opportunities all across the market. What causes a collapse in prices in the crypto space more than anything else? FUD! The crypto space is susceptible to FUD to a degree that is unprecedented in most marketplaces. Entire populations move money in and out of crypto based on mainstream news sharing select stories. This week was no different with rumors circulating that Binance was possibly hacked, although they have repeatedly stated all funds are safe. The U.S. government and the SEC publicly stated, “They Are Watching,” companies holding ICOs. One of the largest exchanges in the world possibly having been hacked coupled with the SEC reiterating their involvement in the crypto space caused significant panic this week. However, with panic come the perfect buying opportunities. This was a week filled with FUD regarding the future of crypto which is precisely what those purchasing enormous quantities want happening as they stock up. Bitcoin is the leader in the crypto space and therefore when the markets react, BTC is an easy indicator of the current situation. 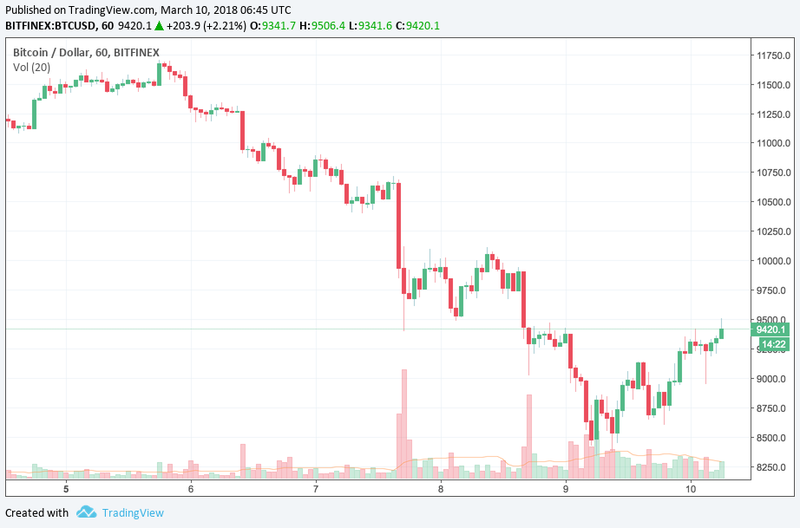 March 5 saw BTC surpass $11,600, less than 100 hours later BTC was trading at under $8,400. This correlates to an almost 30% drop over a period of four days. The FUD that was spread dramatically impacted the price of BTC and the entire market as a whole with the cryptocurrency market cap of all coins pulling back to under $350 billion today. The market cap of all cryptocurrencies was approaching $1 trillion back in December and has since dropped by over 60%. Read Full: A 30% Drop in 5 days…Where Will Bitcoin Price Go from Here?